YESTERDAY, IT WAS announced that PE is set to become a Leaving Cert subject from next year. Schools who wish to offer it as a subject can now apply to the Department of Education. Students who take PE for the Leaving Cert will have to complete a physical activity project, a performance assessment and a written examination. The Taoiseach said that the “benefits will be far-reaching, including improved health and fitness among young people, raising awareness of physical health, and increasing the range of subjects on offer”. 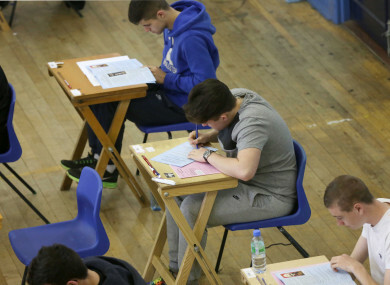 So, today we’re asking you: If PE had been a Leaving Cert subject when you were at school, would you have taken it? Email “Poll: If PE had been a Leaving Cert subject when you were at school, would you have taken it?”. Feedback on “Poll: If PE had been a Leaving Cert subject when you were at school, would you have taken it?”.